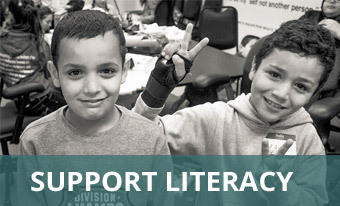 Teach and Learn Literacy (TaLL) is a volunteer-based literacy program working under the fiscal sponsorship of the Partnership for the Advancement of New Americans – PANA, a research, public policy, and community hub. TaLL coordinates with the Syrian Community Network who settled and supported most of the recent refugees. TaLL develops teams of volunteer certified English as a Second Language (ESL) instructors, native language facilitators, and trainees to teach English to newly arrived Syrian adults who are unable to attend courses at learning centers due to the need to care for young or disabled children. TaLL offers free training and workshops to vetted volunteers, and develops leadership from within the ranks of the community we serve. San Diego has among the largest refugee populations in the United States, and the largest number of newly arrived Syrians. TaLL volunteers are current and retired teachers, university professors, and everyday citizens committed to meeting this challenge. Since our program began in January 2017, our pupils have gained confidence in interacting with their neighbors, helping their children with homework, finding jobs, strategizing about careers, and preparing for equivalency degrees. We gently enable new American families to acclimate, find a plan, and succeed. Being part of the Partnership for the Advancement of New Americans designates TaLL with non-profit status, and donations to TaLL are tax-deductible. 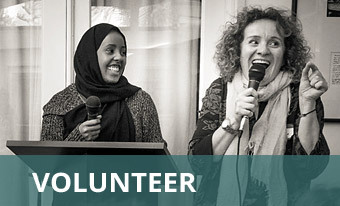 We are in immediate need of both Engish speaking volunteers, as well as bi-lingual Arabic/English speakers to translate at the first few teaching sessions. To volunteer, click here to be directed to our volunteer inquiry form (coming soon). You can make a difference for a local Syrian refugee family by becoming a volunteer and/or making a tax-deductible donation.